In my last 2 posts, I talked about getting an iPad for my fourth grade classroom, thanks to our generous PTO, and how my students became the teachers when it came to using it in the classroom. My next step was to take a class on iPad use in the classroom. Luckily the local educator collaborative offers these a couple times per month on various topics. After a few weeks I worried I might be too bored with the beginner class on "browsing the internet " and "learning to use the camera." I think one of my students put it best when I told them I was excited to go to a workshop on how to use the iPad afterschool and he quipped, "Why do you need to take a class on that? Just look on the internet." So instead I signed up for a class on popular apps to use in the classroom. I'm sort of at a loss for how to schedule student use, and I decided it isn't worth it to worry about that until I have content for them to consume on the thing. I had some apps for myself, like Class Dojo (but no Smartboard/projector for the kids to see it), a free multiplication game, (which is fine, but there are plenty of free websites with multiplication games) and Educreations, which was intriguing to me but I didn't feel ready to dig into. I wanted to see what else was out there. Well, unfortunately she didn't show us any apps the kids themselves could play with, (I guess I'll be looking on the internet after all) but she did teach me how to use Educreations (it was pretty much the whole focus of the 90 minute class). For anyone not familiar with it, here is a sample of what you can make on it (this video is not mine). I'm not sure how soon the "flipped classroom" model is going to come to fourth grade at my school, but I love the idea that my kids can be home, tell their parents, "I can't do my homework," and instead of the parents writing me a note saying, "I was afraid to help them because I don't know how you do it/I don't want to confuse them" they can watch a demonstration with their child! 1. You can type (and move your text around the screen) which is easier than writing text on the iPad. 2. You can draw arrows or whatever else you need in multiple colors. I told my class, "it's going to look like me writing on the whiteboard, except you can't see my hand." 3. You can add in pictures if you don't want to draw something, such as fraction circles. 4. You can record your voice, so for those students who are not great readers, they can hear you tell them what they need to know. They also get a little thrill that it's proof that it's really YOU, their beloved teacher, who made this video for them! 1. You can't erase. Seems like a big flaw! I hope they correct this soon. You can click "undo" if you make a mistake, but you can't erase something once it's there. 2. You can't reorder slides. There is a workaround (when it comes to recording you don't have to go in order) but it can be tricky to find the slides and remember where you are. 3. You can't go back and record over any part once you start recording your voice. You can pause as many times as you like as you record, but you can't undo the sound part at all. As a result, I'm a little afraid to record at school on a prep or even after school in case an announcement is made over the intercom. 4. You can only have one work in progress at a time. 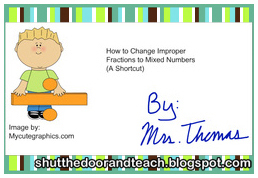 So far I've recorded 4 videos for my class, all related to fractions. The plan is to do one for long division and one for 2 digit by 2 digit multiplication next (when I suggested those two topics for my next videos I got a resounding "YES, PLEASE"). It's easy to get these videos into my students' homes just by putting links up on our classroom blog (clicking the link will bring you to a post about our blog). They don't need the app to view them. I just introduced them to the first couple videos in class, (this video is one I created) and they are already well versed in accessing the blog at home by this point in the year to study and play (I have a healthy mix of anchor charts, open ended questions, and math games on there, as well as the interactive element of allowing comments). Have you ever used Educreations? Is it something you could see yourself using? Just wanted to stop by and say hello...I found your blog through Fifth in the MIddle's Blogs by State. 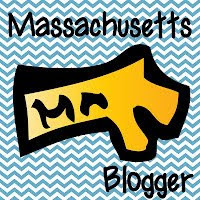 I am a fellow MA teacher/blogger and your newest follower! Thanks for following! :) Her link-up was a great idea; though the beauty of blogging is talking to people all over the world I also love finding new local bloggers. I hope you had a nice April vacation; can't believe it's almost over! 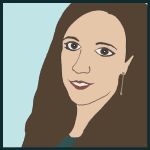 Highly recommend following a blog called "iteach with ipads". I learnt such a lot from her ideas. especially about how to use apps with other apps. Pinterest has also been a source of wonderful ideas and help. Thanks for the tip! I'll search for that blog.